Sprains, strains and other injuries quite literally stop you in your tracks. Whatever the type of injury it immobilizes the joint affected which impacts on your life no matter who you are. But, when dealing with sports professionals, enthusiasts or just lovers of being fit and sporty, an injury can have far reaching effects if not treated properly from the start. From the Chinese perspective the goal of full recovery without consequences is the same as the western goal of sports science. However, the Chinese approach in treatment of an injury and how it heals can differ from the western approach. How? Well, if we look at the most commonest of injuries, the ankle injury, we can demonstrate these differences. Sprains are considered to be ligament injuries. Ligaments are fibrous connective tissues that connect bone to bone. They are instrumental in maintaining joint integrity. However, in most sprains muscles and tendons are usually injured as well. Tendons are fibrous connective tissues that are found at the end of muscles connecting muscles to bone. Muscles are contractile connective tissue that have the ability to contract or shorten pulling on tendons in order to create movement. Sprains and most tendon and muscle injuries are classified according to their degree of severity. Grade 1 sprain: Stretching of fibers with minimal tearing of the fibers. Grade 2 sprain: Partial tearing of fibers. Quite often a depression like a ‘dent’ can be found along the fiber network. Grade 3 sprain: Extensive to complete rupture or tear of the fibers. This also includes tearing of a tendon or ligament from the bone. The initial bodily response to a sprain is inflammation. This is defined by localised swelling, redness, pain and a sensation of heat. Most of the initial swelling is due to blood from broken blood vessels that lace the soft tissue around the joint. Alongside the local tearing and bleeding, the initial healing process brings more blood, nutrients and other body fluids to the area for tissue repair to begin. All this blood and fluid also serves to further immobilize the joint to prevent it from further trauma. However, the trapped blood and fluids also prevent good circulation, which slow the repair process down. As the swelling increases, there is further restriction of movement as tissues that are not normally in contact with each other start to rub together leading to more inflammation and irritation. One further complication of an ankle injury is the talus bone can quite often move out of its normal alignment as tendons and ligaments are stretched. Sometimes it will not realign itself correctly when it snaps back into place during the healing process. This can be often missed by X-rays and MRIs, which can cause continuous pain and weakness even when the inflammation process is completed. With Sprains, strains and even fractures it is important to reduce the swelling as soon as possible. In western medicine the principle course of action is R.I.C.E. – Rest, Ice, Compression and Elevation within the first 24-hour period. Rest prevents further irritation and damage to the injured area. In Chinese medicine we also employ this idea. Ice, contracts the blood vessels in the local area, thereby reducing swelling. It further reduces the heat sensation from inflammation. In Chinese medicine Ice is almost never used and is considered a factor for the cause of injuries that never heal because it freezes and congeals the fluids that causes swelling which ultimately prevent their complete rehabilitation. Compression limits swelling, which is contrary to Chinese medicine as we think it causes stagnation of the blood above and below the injured area. This slows reabsorption of the fluids into the blood vessels. Elevation of the injured area above the heart allows drainage of the fluid. In Chinese sports medicine this method is also used. An injury in Chinese medicine is describes as something that has disrupted the normal flow of ‘qi’ (vital energy). The forces can take many forms – wrenching, impact, compression, snapping and stretching (whiplash) and more. If the force is powerful enough it may affect another area in the body as the vibration of the force travels through the body. Blood and qi stagnate in the local area thereby impeding circulation. Together these cause pain and swelling. The Chinese say ‘ Qi is the commander of the blood and blood is the mother of qi’. This means blood cannot move without the driving force of qi, and in turn, the organs that produce and nurture the qi are dependent upon the nourishment of blood. So in an injury you can see that the disruption of the flow of qi and blood disrupts the nourishment of the area. In an ankle injury, although this is a disruption of qi and blood at a superficial level in the skin, flesh and muscles, the qi in the body also runs at a deeper level in what we call meridians that connect to the internal organs, brain and sensory organs. Qi flows inside and outside the body, deep and superficial. If the qi doesn’t flow then the area is susceptible to ‘damp’, to pain, to re-injury and more. It is this particular understanding here that helps prevent further injury to an athelete, that helps prevent arthritis, that helps prevent a minor injury becoming a chronic injury. How, because disruption of qi at any level, is disruption. It acts like a dam and once it has received an injury, unless the freeflow is restored at not just the superficial level, but at the deeper level then healing has not fully taken place. 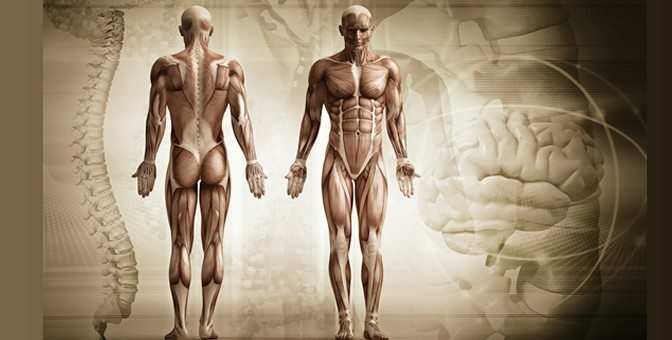 The Western approach and Eastern approach are different, but Chinese medicine can answer the questions of why an injury becomes arthritic, why it has not healed properly, why something so small can cause a long-term problem. The Chinese approach works at a deeper level than just treating the localized area. Why? Because qi is the force or energy that is responsible for movement in the body, and that is a whole new article in itself.